Zularic Repetitor is a rhythmic gate generator based on African music theory. A core pattern forms the basis and variation is achieved by offsetting this pattern in time relative to the base. This module contains 30 mother rhythms from African, Indian, Latin, Funk and Rock roots. Each pattern outputs four parts and allows the offset of three parts relative to the mother. The offset is CV and knob controllable. It requires only a beat clock to run. Also included are two special modes. 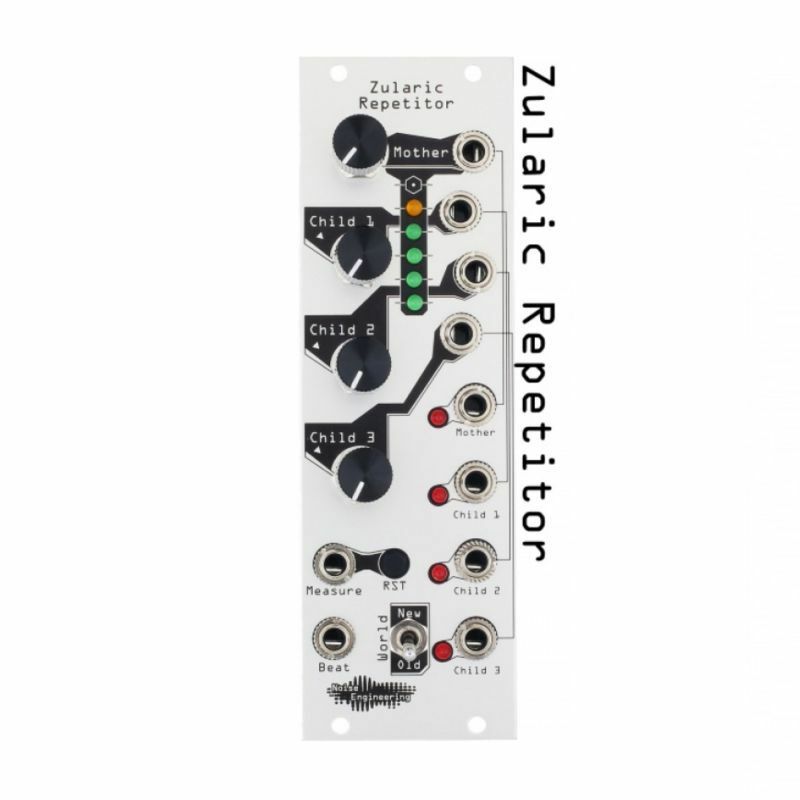 One turns Zularic Repetitor into a 3 section CV/knob controllable divider. The other generates random gates where the probability is determined by the knob/CV. Repetitor - repeater - from Latin repetito "repetition" with suffix -tor forming a noun "thing which repeats"